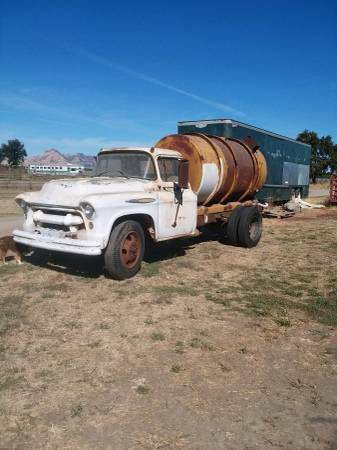 I have a really old water truck for sale. It ran last I checked, but will need a new battery. What you see is what you get. I never used it so I don’t know what all works and what doesn’t. Its been sitting in the backyard for about 5 years now. Has some sort of PTO shaft. Body is in good condition. No paperwork. Cash only. Asking 800. If you want it, you will need to have your own form of transportation for it, and it needs to probably be pressure washed in the cab...and every where else.. Text or Call Rick .